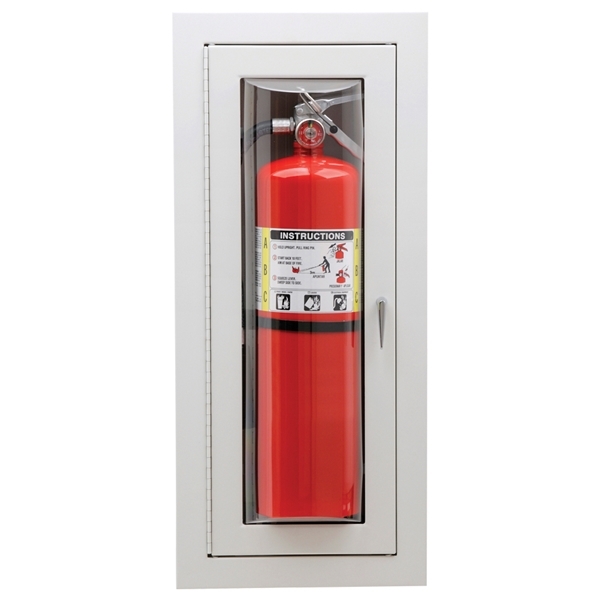 The architectural convex, clear plastic "bubble" window is the earmark of the Crown Fire Extinguisher Cabinet. This ultra-practical design delivers 180 degrees of visibility for quick identification of the extinguisher. The Crown's shallow design is also ideal for contemporary structures with limited wall depth.